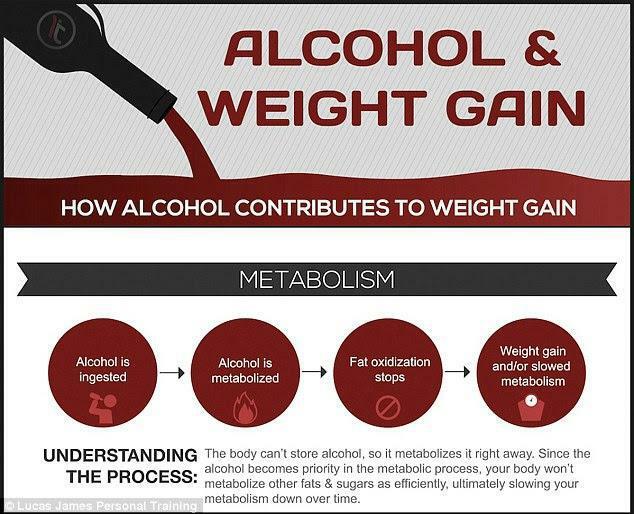 What Is The Best Alcohol For Weight Control? Serotonin Plus Blog What Is The Best Alcohol For Weight Control? Alcohol is a major “derailer” for weight control efforts. This has more to do with the adverse metabolism effects as opposed to the caloric content. However, often, alcohol is combined with mixers and together, this combination can really disrupt weight control. For example, a Pina Colada contains rum and a coconut based mixer. That drink, as well as a number of other frozen alcohol drink concoctions, not only contain the alcohol, but also lots of sugar in the mixers. A “light beer” may only contain 95 calories, but once again, the types of calories and alcohol content will still make for a great choice. The other concept is that a beer drinker tends to not just consume one beer, but rather, several over the course of an evening or party. Here is my suggestion: Probably the best (or should I say least worst) alcohol to consume to lessen the deleterious weight effects would be a drink diluted with a non-caloric water , drink or soda. For example, a small amount of gin with lots of non-caloric tonic water would be a good choice. Cutting the amount of wine with some sort of non-caloric “spritzer” would also be a decent choice. With the summer months coming up and the associated grill outs, beach gatherings, pool parties etc., I know it is difficult to attend these social functions and stay completely away from alcohol. However, when you approach the alcohol with a good game plan, your successful weight control journey can remain unimpeded.